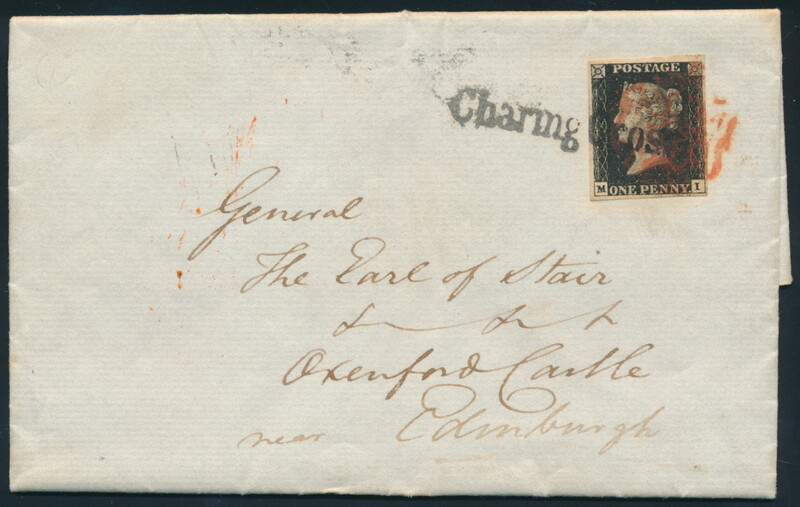 Lot 865 Great Britain 1 1840 1d black Queen Victoria Imperforate on Folded Letter, a four margin stamp identified by owner as plate 6 MI, tied by red Maltese Cross plus a black “Charing Cross” straightline cancel to a lovely folded letter to the Earl of Stair (with interesting contents) to Oxenfoord Castle, Scotland. 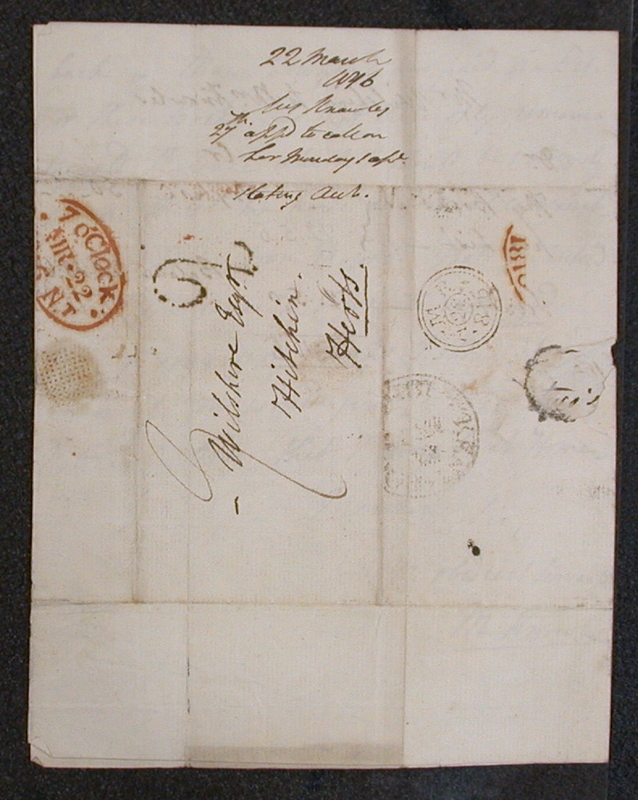 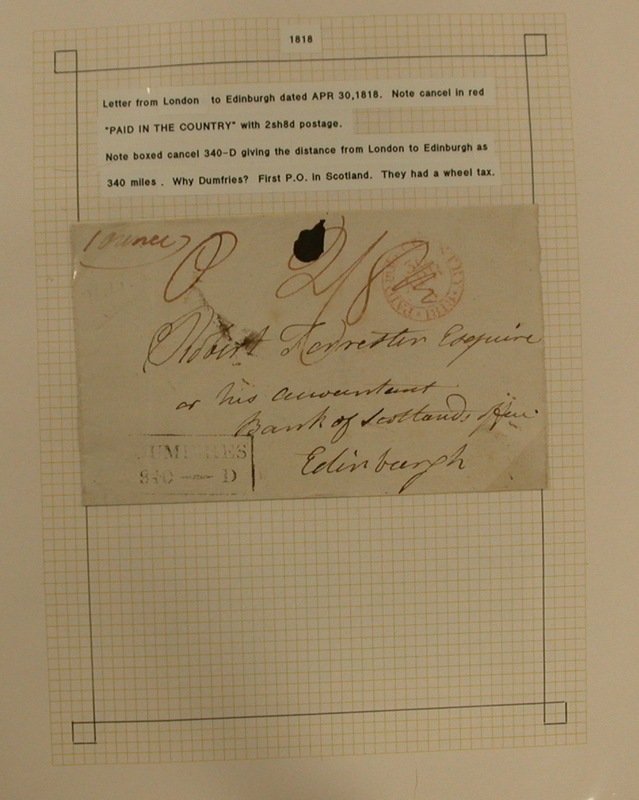 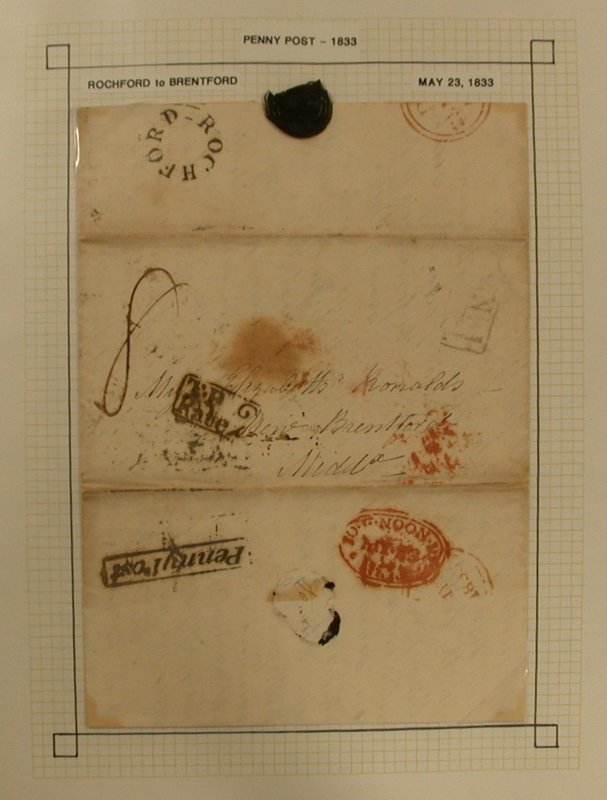 Back shows despatch and receiving cancels OCT.28.1840. Very fine and scarce. 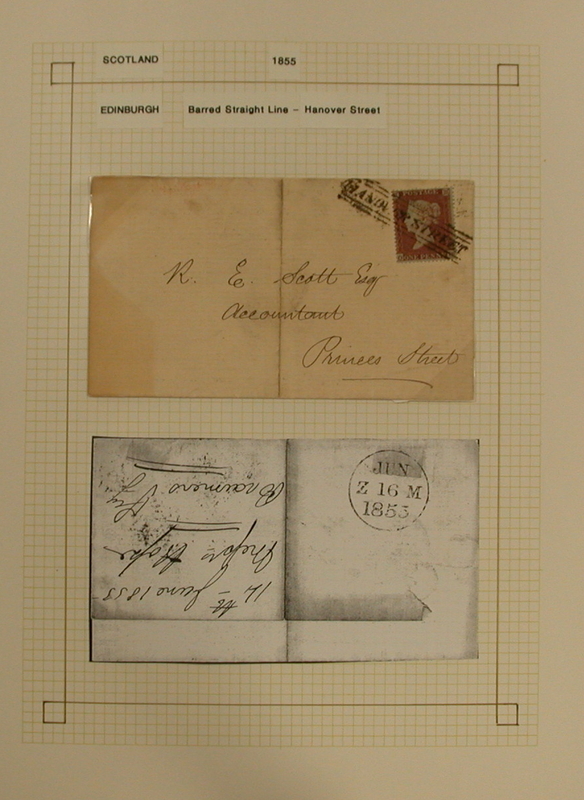 Scott CV U$640, sold for C$900 plus 15% buyer’s premium. 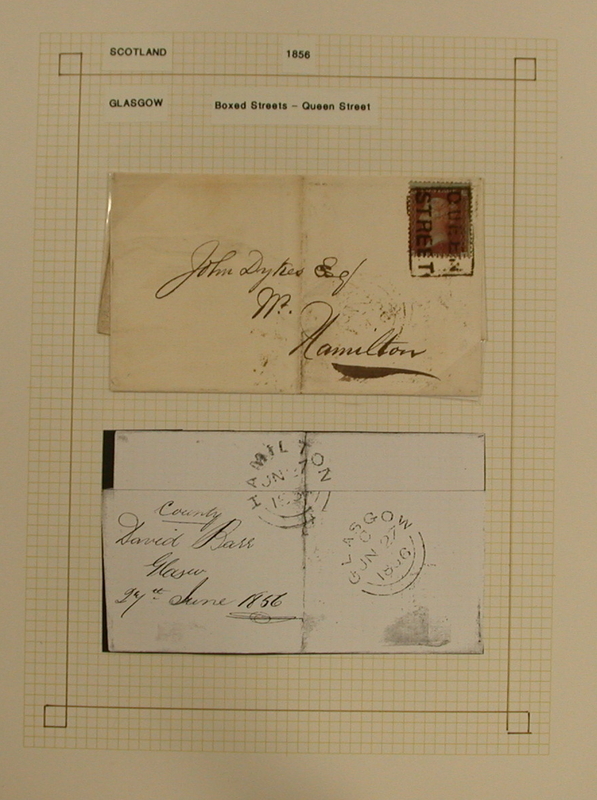 Lot 1418 Collection of Early Great Britain Postal History, 1783 to 1879, a lovely and rarely offered collection, the first part being mounted on quadrille pages from 1810 to 1879, starting with Two Penny Post, then Penny Post, with many different postmarks, rates towns and routes, there are sections on England and Wales, Ireland and Scotland. 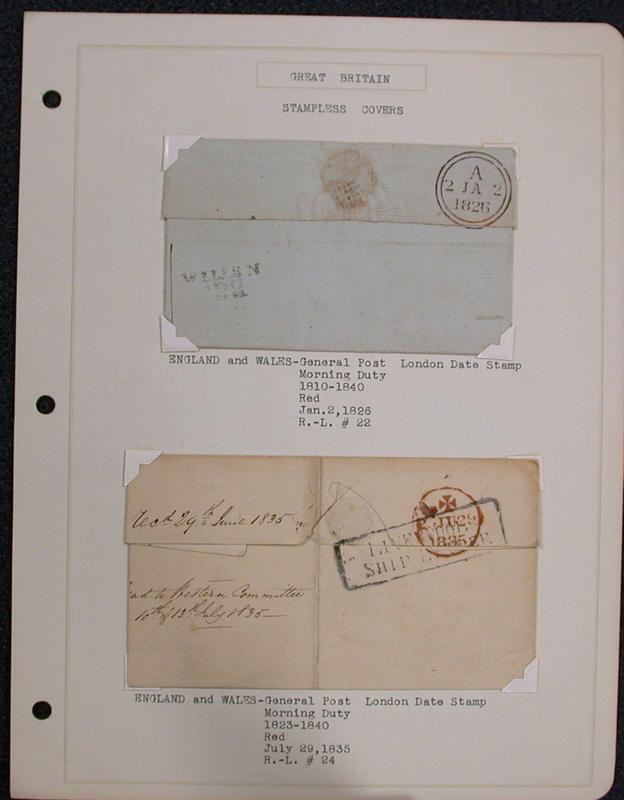 This part (on pages) includes 38 covers or folded letters, 11 of which are stampless, plus another 131 stamps or pieces selected for quality strikes. 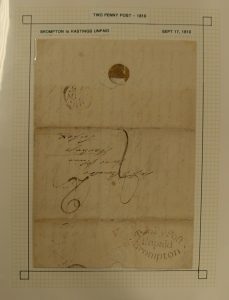 The second part contains unresearched loose material from 1783 (three folded letters) to the 1840s, with about 40 covers or folded letters (incl a few fronts), most before 1820. 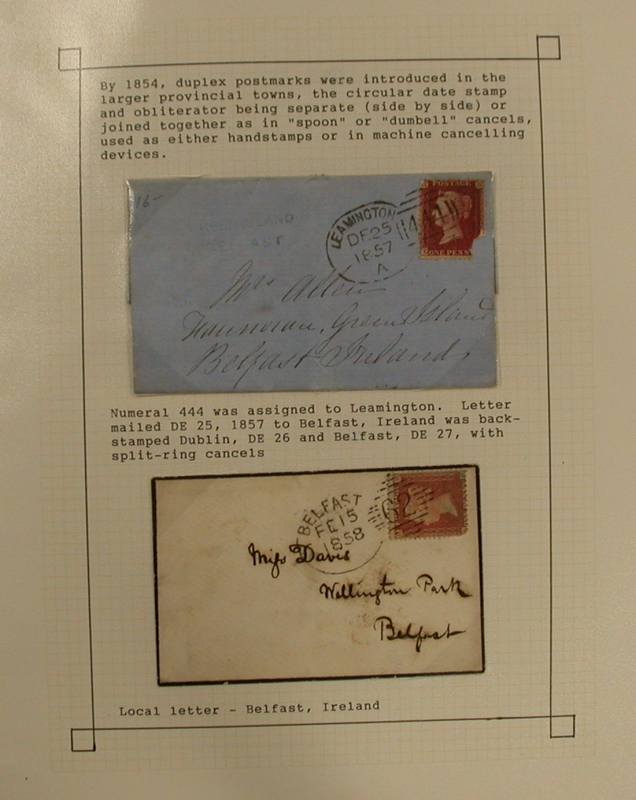 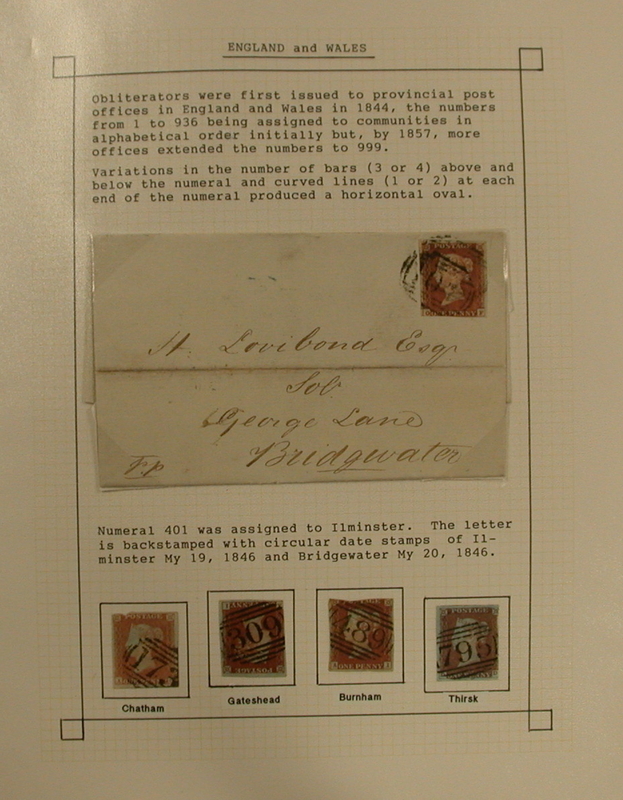 Lastly, there are some pages of postmarks (mostly numerals) on about 180 stamps from the 1870s to 1890s. 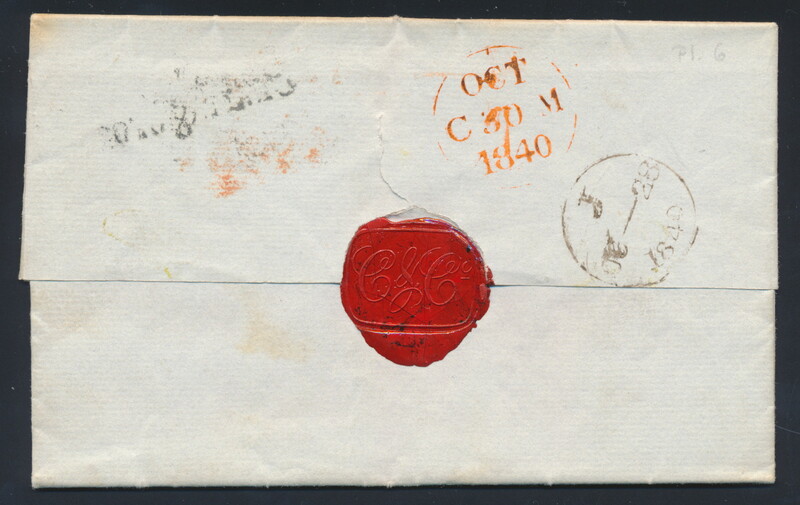 Many covers and folded letters have their contents. 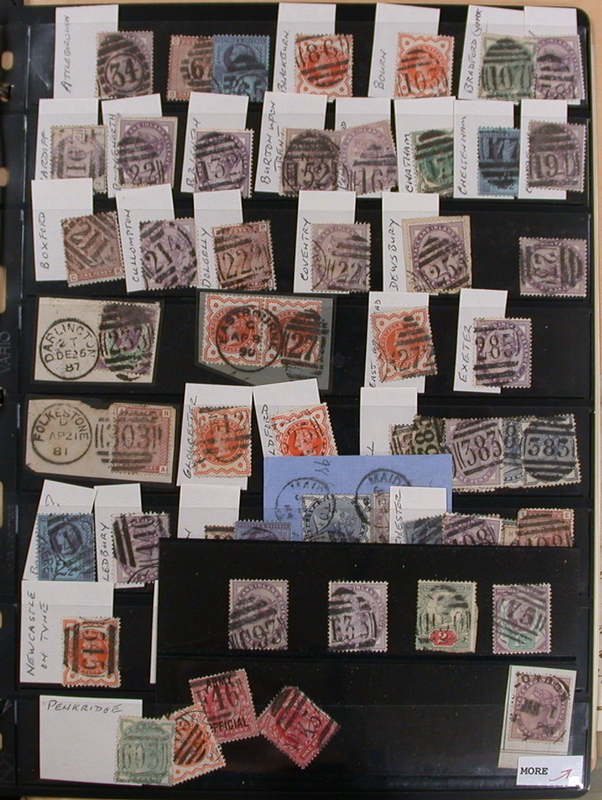 Way too many better items or postmarks here to list, but we have scanned about a dozen, and viewing is highly recommended. 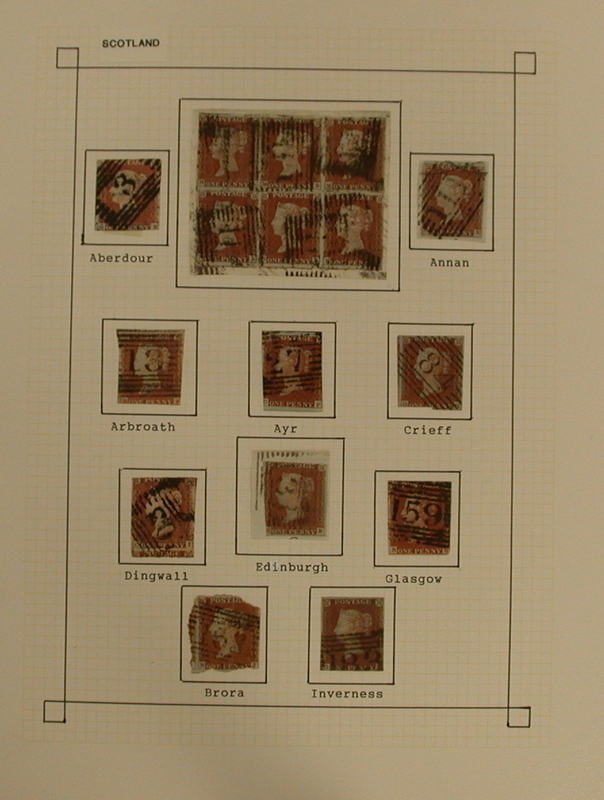 (Page 1) (Page 2) (Page 3) (Page 4) (Page 5) (Page 6) (Page 7) (Page 8) (Page 9) (Page 10) (Page 11) (Page 12). 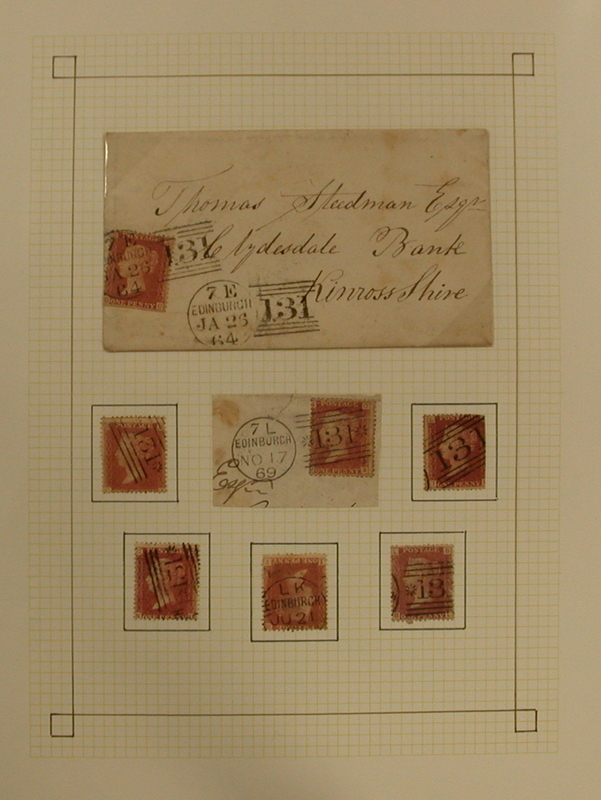 Estimate $500, sold for C$850.00 plus 15% buyer’s premium.